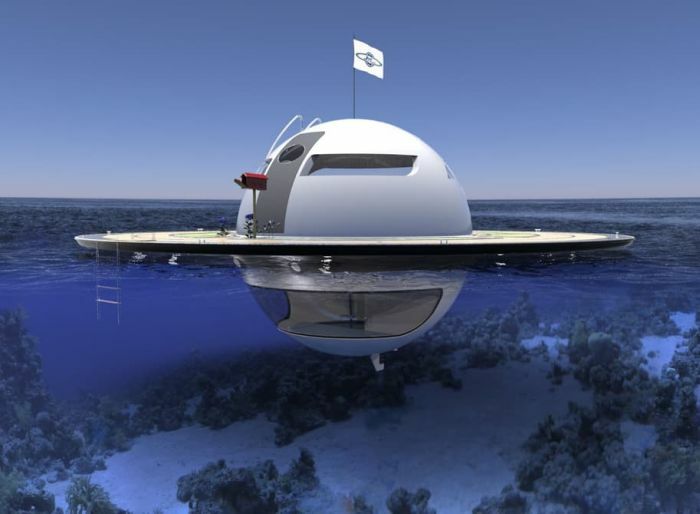 Architect Peter Archer creates a true, habitable 'Hobbit House'! 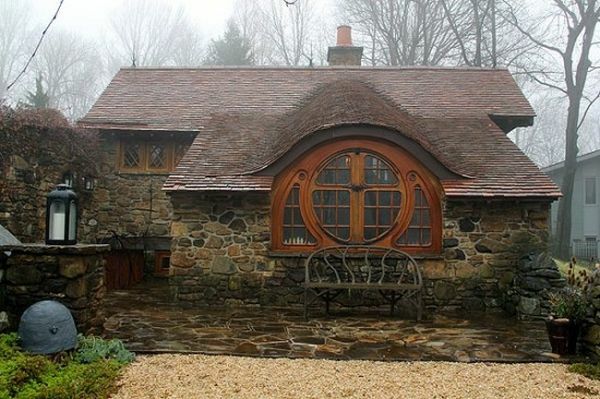 Architect creates a true, habitable ‘Hobbit House’ for his clients in Pennsylvania! 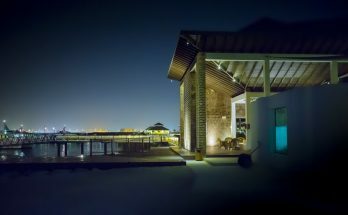 Ever had those fleeting reveries of rolling green hills, glistening mirror-like lakes and ‘misty mountains’, while you are puffing away at your ‘pipe weed’ and sitting in a cozy armchair by the conspicuously round entrance door to your single storied dwelling? Now, some of you Middle Earth fans might think that I am talking about a Inception-style dream within a dream. 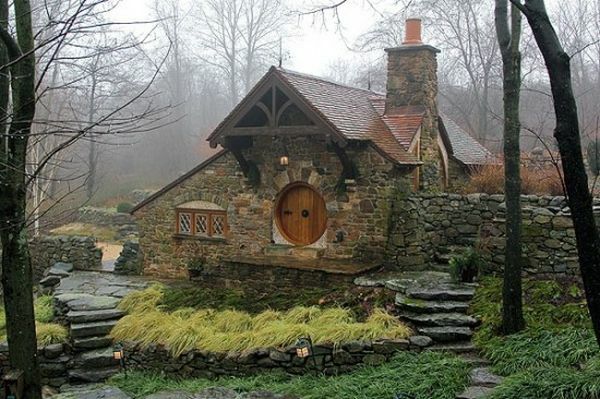 However, the second part about the round door and a cozy single storied home is actually very true, as credibly exhibited by the ‘Hobbit House’. 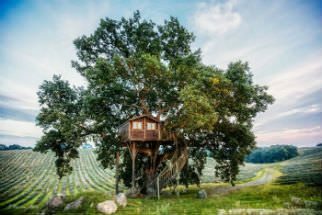 Remarkably conceived by architect Peter Archer, this 600 sq ft beauty was constructed for a Chester County family (who according to us, are undoubtedly Tolkien aficionados). Posing as a stone cottage on the paradisiacal side of Pennsylvania, the apt location and deft landscaping really notches up on the Shire-esque scale of the whole conception. In fact, the core inspiration of the whole house was directly taken from the great J.R.R Tolkien’s sketches, as opposed to the visual forms we are accustomed to from Peter Jackson’s adaptations. In this regard, the architect wanted to envision the dwelling as emerging directly from the stone facades. One of the reasons might be because of the traditional lore element of ‘smials’ or hobbit holes. Tolkien clearly wrote about elaborate hobbit-holes (posing as dwellings) being cut into the side of the hills. So, this design consideration balances out the lore element by treading the middle ground, in which the ‘authentic’ effect is created by imposing the core structure upon the stone facades. Even the steps leading up to the entrance porch exhibits a sort of a rising gradient where the house is nestled within the stone components. And, as for these stones, they were ingeniously salvaged from a collapsed section of an 18th century low wall running through the main property. Coming to other parts of the conception, one of the stony pathways lead to an English style garden, a landscaping theme that adroitly matches the various lore descriptions of the Shire (which in itself was partly inspired by the English countryside). The interiors were also painstakingly crafted to emulate the Middle Earth essence. These include the mahogany crafted arched ‘butterfly’ window (from Tolkien’s sketches), curved rafters made from Douglas fir and a stucco finished fireplace accentuated by clay tiles. Of course, all of these items are complimented by some shelves and storage spaces that can be used by the residents to keep their Lord of the Rings memorabilia, including the One Ring to rule them all. 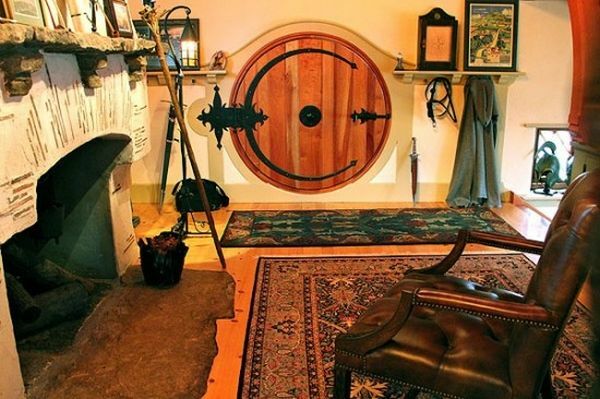 Finally, the ‘piece de resistance’ of the whole conception is the round door, a true mark of a Hobbit house. This 150-pound masterpiece specially crafted from Spanish cedar, opens with a single hand forged iron hinge, while its knob is tightly placed at the very center of the circle. Oh, and before we forget, this Hobbit House also has a host of modern amenities like heating, electricity and security systems; lest you city dwellers be bored by the rustic nature of the fascinating design.